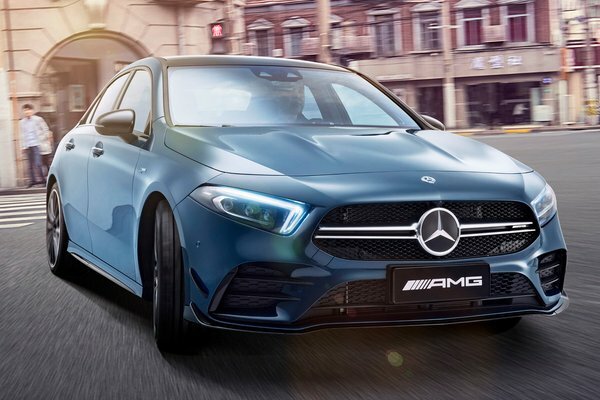 Exclusively for the Chinese market, Mercedes-AMG has developed a new entry-level model to the world of Driving Performance: the A 35 L 4MATIC combines the hallmark sportiness of the brand with a very spacious interior. Thanks to the six-centimetre longer wheelbase, passengers in the rear enjoy a particularly high level of spatial comfort. The exceptional driving dynamics of the agile notchback model are ensured by the 2.0-litre four-cylinder turbo engine with 225 kW (306 hp) available...Read.